The possibility of polymerizing 1,2-dimethylenecyclobutane with organolithium initiators has been demonstrated. The microstructure of the polymers obtained is determined by the nature of the solvent; in a hydrocarbon medium the 1,4-structural unit is mainly. formed, while in a polar solvent the 1,2-structural unit predominates. 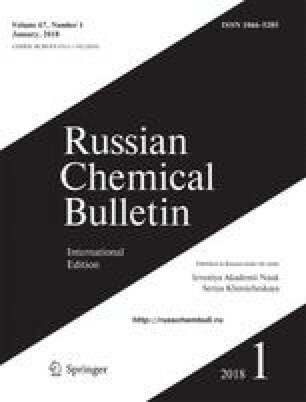 The anionic copolymerization constants of 1,2-dimethylenecyclobutane with butadiene in hydrocarbon and polar media have been determined. Translated from Izvestiya Akademii Nauk SSSR, Seriya Khimicheskaya, No. 9, pp. 1993–1995, September, 1988.